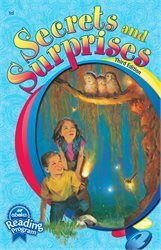 Visit exciting places, enjoy animal antics, and join Brad and Beth as they discover many wonderful secrets and surprises. This is the fourth book (1d) in the Abeka Reading Program for grade 1. 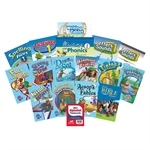 Each of the nine books gradually advances your child’s reading skills in accordance with his phonics instruction. 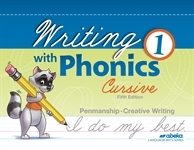 This book gives your child practice with phonics sounds from Phonics Charts 8–11 as he reads about family, friendship, manners, prayer, kindness, thankfulness, and more. 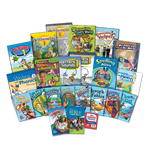 With 14 stories and 23 poems, your child’s love for literature will grow rapidly. 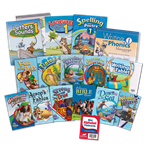 The comprehension questions at the end of various selections help you know that your child is reading for meaning. 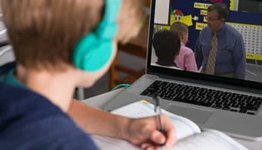 Special comprehension questions marked with an asterisk challenge your child to consider the material and draw conclusions from it, expanding his reasoning skills. 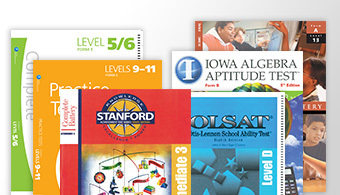 Additional comprehension questions are also available in the Teacher Edition or Reading 1 Answer Key. 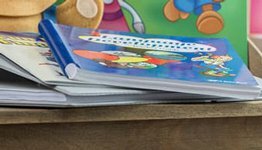 You will enjoy watching your child read with greater technique as he practices with this exciting little book! 186 pages. Gr. 1.